Brand Recognition – once you start doing display advertising you are making your company name into a brand. Sports Demographics – Who goes to sporting events or take their children to organized team sports? A family with disposable income. Bottom line is premium consumers go to sporting events. Location. Location. Location – We target local customers who you want to see your brand. Local sports venues are a big part of many families lives. At Local Sports Promotions located in Belleville, IL, we use our industry-leading out-of-home strategies to create marketing campaigns that meet people at every stage of the buyer cycle. By embracing the ability to reach a large, broad audience through sports facility advertising, Local Sports Promotions ensures your brand messaging creates the type of lasting impression that drives results. The average person needs to see your name 7-12 times before they will call/visit your business. Supporting local sports is a very positive way to ‘brand’ your business. Think about it, if you see a name on the highway, the message may impact your if it is relevant. The context of where you saw the highway message gives the impression of a large advertiser who spends a lot on advertising. If you see a brand being promoted at a local sporting event your context for associating with the brand is very different.  Local sponsorship is a very personal type of advertising that reaches out to people where they are having fun either watching or playing sports. The biggest business problem is obscurity. Lock out your competition and get your name in the game with local, targeted promotions.